Hotel business listing is one of the most significant elements of the local positioning. Creating a business listing and keeping it up-to-date constitute an important element which largely affects the number of bookings.We have collected some practical advice on the business listing optimization in Google My Business tool. The score cannot go unnoticed. 10 thousand interactions is a direct result of the high visibility in Google Maps, achieved with the optimization of the business listing. If you already have a business listing, you can automatically insert all the details as you enter the name. If the business listing does not have an owner, you can use it. If the business listing belongs to someone, you can request ownership. A request is sent over to the current owner. If he does not reply within 7 days, you can claim the listing without his approval. You become the new owner of the listing and any other person loses the access. According to Google, the business name should reflect the formal name of the hotel. Make sure that both the name and the address are the same on the listing, the hotel website, OTA’s websites, and other places in which the address is available online. Categories are used to assign the hotel to the existing segments, which classify our listing among specific industries. It is best to list all activities, and remember to enter the main activity in the basic category field. You can add up to 10 categories. Opening hours appear in the search results and inform whether the business is open at a given time. Opening hours during holiday period may be added in the special opening hours tab, available only if the basic opening hours are completed. The main telephone number can be added during the setup. Any additional telephone numbers should be added during the optimization. It is also important to provide the URL of the hotel’s internet website. What is more, any information entered in the listing (name, address, telephone numbers) should be consistent with the one on the website, for instance, in the form of a structured data. Facilities: Wi-Fi, SPA, additional services, babysitting, etc. Activities: horse riding, bike rental, games room, etc..
We now need to add a profile picture and a background image to the listing. Unfortunately, we cannot choose the main image visible the search results. Guest reviews are one of the most important factors which determine the visibility of the Google business listing. It is then essential to encourage the satisfied guest to share their opinions, then to monitor reviews, and reply to negative comments. Bad reviews can effectively jeopardize the position of hotel’s listing in Google. Every negative review and accusation needs to be addressed. Our task is to make the guest change his mind and either edit or delete the review. Which reviews may be deleted? Users may suggest changes to the information visible in the listing. Google displays such suggestions highlighted in orange, in the Google My Business panel. If the information is true it needs to be accepted. Otherwise, the listing has to be updated. Monitoring statistics of the listing before and after optimization allow us to assess if our activities have brought the desired effect. Messenger - the feature has not been activated in Poland yet. It enables users to chat directly using the business listing. A potential guest, interested to book a stay in the hotel, may start the process directly from the business listing view. The person will see offers of the OTA websites. Google Hotel Ads (https://www.profitroom.pl/rozwiazania/marketing-obiektow-hotelarskich) allow hotels to present the offer directly from their websites. Investing in such advertising helps you to increase the number of direct bookings, and consequently, allows you to avoid the commission costs. Google Business listing is a local positioning tool which offers a simple way to increase the website traffic and the number of bookings. 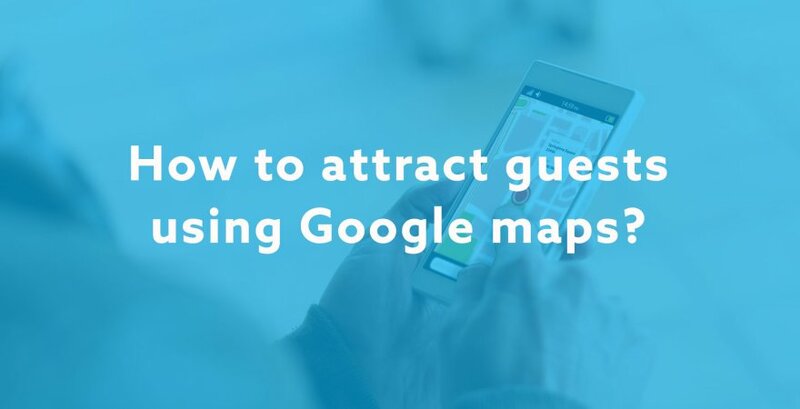 Optimization combined with the monitoring of changes and opinions, are the only actions you need to perform to get new customers directly from the search engine and the Google Maps segment.